Get the latest info factory direct with Metro's Weekly Newsletter and spiffy Facebook page! Every week at the store we have special discounts available in store! Come on by and check out our deal of the day. Looking for a good game to play? Check out our game schedule for tournament information, rules and release events. From Dungeons & Dragons to GURPS, World of Darkness and beyond! Risk players! Warhammer junkies! Cyberpunk enthusiasts and card sharks, Metro wants to meet you! If you're looking for a group or just want to get the skinny on some new games and meet some new faces, come in to Metro, enjoy some punch and pie and have a great time! Take a look at our online schedule or Meetup page for more information, who's coming to the next event and maybe even start up your own game from a rich database of local players! 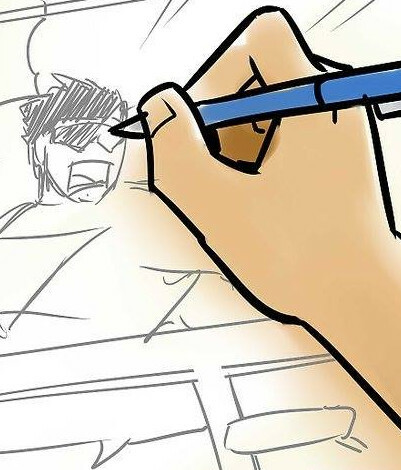 Are you an artist in search of scripts to draw? Are you a writer in search of an illustrator to bring your story to life? Do you need feedback on your next project or just want to start a new one? Come and meet other artists and creators to exchange ideas in a collaborative, comics-friendly setting! ALL SKILL LEVELS WELCOME! Take a look at our Facebook page for more information. Metro Entertainment has run a special program to award students for their academic excellence for two full years: the Metro Scholastic Achievement Award. 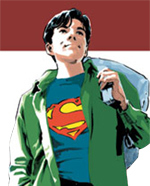 Students who come into the store and bring their current report card will receive $1 off any purchase for every A, B or equivalent grade plus a Comic Club Card for one FREE COMIC every week for one whole year! For more information, contact the store. The spookiest time of the year! Metro Entertainment hosts special events every month, but in the month of October we all look forward to the annual Costume Contest and the marvelous creations of kids and customers. Take a look at past years events and keep an eye out and a ear open for news about this year's events! Metro Entertainment has had a host of celebrities and industry professionals in person at our store for autographs signings and special events. We've also done a variety of private signings with personalities such as Bruce Campbell and Seth Green. Writers and artists have also graced our store; professionals such as Geoff Johns and John Romita Jr. have come in for special signing events. Any extra photographs or autographs are sold to the public after the event with Certificates of Authenticity verifying the autograph in question; some of our pre-sold photos come with candid pictures of the celebrity signing for extra veracity. Check out our eBay stores for a wide selection of autographs and other special offers! 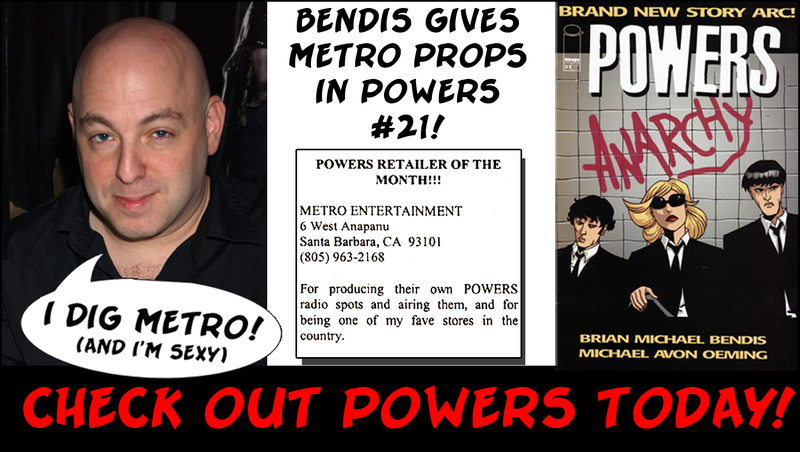 Way back when in Powers #21 in it's Image days, Brian Michael Bendis himself gave Metro the thumbs up in his infamous letters column. We're proud to have helped one of Marvel's most influential writers to date back in younger years.